3- 4 Seasons Arizona Rooms achieve full architectural integration with your home for a look of singular distinction. Exclusive “Superbeam” extruded aluminum rafters providing strength and durability for all types of environmental conditions. 4″ Radius windowsills features a sloping design and flap-covered weep holes to drain sills and keep out wind, dust and insects. 4″ Door system with heavy duty extruded aluminum frame. Full View doors with LOW-E insulated & tempered glass. Single and Double glass sliding windows include an interlocking system for added security. The screen system is stretch-resistant, removable and self-healing. Which direction will your sunroom be facing? How much direct sun will your Sunroom get? 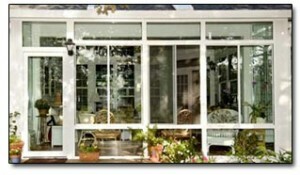 How often will you be using your Sunroom? What about traffic flow and placement of your doors? Electrical – outlets, ceiling fans, A/C unit? Which Sunroom design aesthetically will blend with your home?